HOME>>Resource Center>>Legal Updates>>California>>Legal Review: What Is a RESPA Violation? Legal Review: What Is a RESPA Violation? The purpose of the Real Estate Settlement Procedures Act (RESPA) is to prevent abusive settlement charges that plagued this country’s real estate industry in the past — and led to the “Great Recession” in 2008. The key provision under RESPA is that, “No person shall give and no person shall accept any fee, kickback, or thing of value pursuant to any agreement or understanding, oral or otherwise, that business incident to or a part of a real estate settlement service involving a federally related mortgage loan shall be referred to any person.” (12 U.S.C. section 2607(a)). All loans for a buyer in a residential real estate transaction of one to four family units are subject to RESPA. Mortgage brokers are prohibited from charging a buyer for a credit report at closing more than what the mortgage broker paid to obtain the credit report. If you are a mortgage broker under RESPA, you can only charge your customer what you actually pay for third-party services. In short, under RESPA there can be no hidden charges assessed for a customer. Charges provided from third party vendors are allowable under RESPA, but inflating the fees as a ‘mark-up’ is a RESPA violation and is expressly prohibited. For example, a selling or listing agent may give nominal gift certificates ($50.00 or less) as a ‘thank you’ to his or her client post closing in a transaction where the buyer received a federally-insured loan. Such should not be deemed a RESPA violation because the provision of a gift card is not directly related to the cost of services and fees associated with a given transaction and is a form of a ‘thank you’ post close. Room rentals and other associated fees in connection with a federally- insured loan transaction are allowable, as long as the charges are not substantially higher than the market rate for such use. If above market rate, HUD most likely will deem the excess amount as a disguised “referral fee” in violation of RESPA’s prohibition of “kick-backs”. A RESPA violation occurs when a title company has a financial interest (or ownership) in a real estate transaction where a buyer’s loan is “federally insured.” RESPA is a consumer protection law created to make sure that buyers of residential properties of one to four family units are informed in detailed writing before closing regarding the amount and type of charges they will pay. (12 U.S.C. section 2607). When a buyer’s loan for a residential property of one to four units is a federally-insured loan, under RESPA there can be NO REFERRAL FEE to a non-licensee with California’s Bureau of Real Estate. To prevent a RESPA violation from occurring, a broker should not give a referral fee to a non-licensee for a residential real estate transaction in California, where there is a reinsurance program created by the underwriter of the title company’s title insurance policies. Should a referral fee occur in such a scenario, a “captive insurance company,” defined as being wholly owned by the company or any of its individual owners with which it does business by writing title insurance policies, results. Hence, the payment of any referral fee is a RESPA violation. As to real estate commission splits with a party who is a licensee (buyer or seller) in a transaction in a federally-insured loan scenario, commission is not allowed under RESPA — unless the party actually does work required of a Bureau of Real Estate licensee in the transaction. RESPA prohibits the acceptance or provision of any percentage, portion, or split of any fee or charge pertaining to a settlement service with the exception of services actually provided in a given residential real estate transaction of one to four units. (12 U.S.C.section 2607(b)). If a real estate licensee received a real estate commission in a federally- insured residential loan of one to four units and did not actually do any services as a licensee in the transaction, under RESPA, the payment would be in violation of federal law. There can be NO REFERRAL FEE to a non-licensee with California’s Bureau of Real Estate when a buyer’s loan for a residential property of one to four units is a federally-insured loan under RESPA. Save the response in the transaction file as well as electronically for future need. A RESPA violation has criminal and civil repercussions. A criminal conviction is up to one year in jail and a $10,000.00 fine per each party violating a RESPA provision. The consumer (buyer) is entitled to bring a civil action for triple the charge improperly paid in violation of RESPA, where the consumer would be entitled to reasonable attorney’s fees and costs if he or she prevails. Mr. McCutchan’s practice is primarily civil litigation with an emphasis in defending professionals and businesses in real estate, mortgage brokering, construction, banking and agricultural industries and all phases of dispute resolution through trial and appeal. His area of practice is also agricultural law (viticulture and wineries), trusts and estates, probate, real estate transactions, business law and elder abuse. 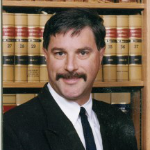 B. Edward McCutchan, Jr. was admitted to the Bar in 1985 and is admitted and qualified to practice in all California courts and the U.S. District Court, Eastern and Northern Districts of California as well as the United States Tax Court.